PC: Hawai‘i Food & Wine Festival. 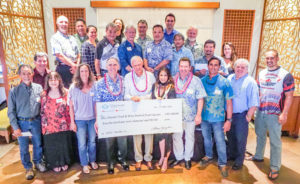 The Hawai‘i Food & Wine Festival raised a record $394,000 for local beneficiaries in 2016. 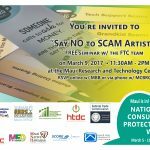 Maui organizations benefiting from the event included: Imua Family Services, Maui Culinary Academy and the Maui County Farm Bureau. 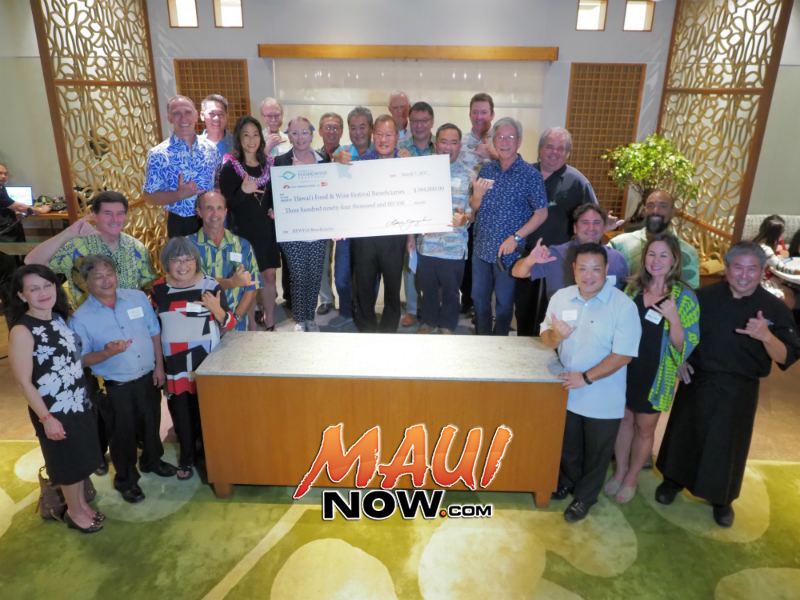 Fourteen nonprofit organizations received checks during a Mahalo Reception for the 2016 festival held on March 7th at Neiman Marcus’ Mariposa Restaurant on Oʻahu. The contribution brings the total giving from HFWF over six years to nearly $1.7 million. 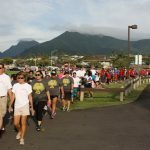 “We’re proud that Hawai‘i Food & Wine Festival not only shines a spotlight on Hawai’i as a culinary destination, but pays it forward through contributions for nonprofit charitable organizations that support local food sustainability, cultural, and educational programs” sayid Denise Yamaguchi, HFWF Chief Executive Officer. 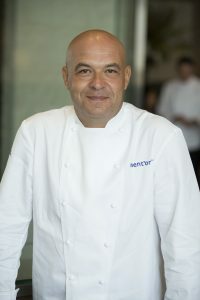 “The tangible impact of the festival is far-reaching, with funds supporting local culinary colleges, grants for Hawai‘i chefs to learn in the kitchens of the world’s culinary masters, programs to help small farms get their produce to consumers, and curriculum to teach children how to grow their own food in school and make healthy dishes at home,” said Yamaguchi. In six years, HFWF has expanded from a 3-day festival with 30 chefs in Waikiki to more than 20 events spanning three Islands. 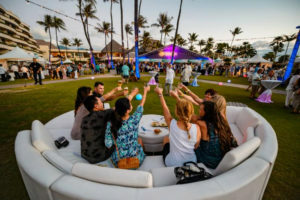 HFWF16 welcomed 8,765 attendees from around the world to signature events on O’ahu, Maui and Hawai‘i Island featuring 114 top chefs, 50 wine makers, and 10 mixologists. That’s up 1,365 attendees from 2015. More than 200 Hawai‘i culinary students gained priceless experience working side-by-side with culinary masters. HFWF co-chair Alan Wong was featured at the Mahalo reception, along with chefs Mark Freiberg of Neiman Marcus, Chef Alan Takasaki from Le Bistro, and Chef Vikram Garg.